Your little architect-in-training has an eye for detail and space manipulation that exceeds their young age. For years, you have been trying to keep him challenged with building block sets of increasing difficulties. At the young age of 12, she has already completed some of the most difficult block-building hobby sets on the mainstream market. His birthday is coming up, and you want to keep the passion alive but worry that traditional block sets are losing their appeal. 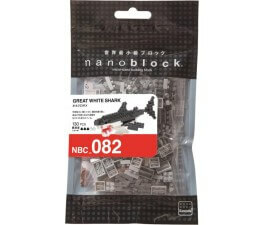 Last night you came across a post on social media mentioning Nanoblock toys available at Mr Toys. A long-time customer, you discover that Mr Toys has Nanoblocks for sale at their stores or through their online catalogue. When you buy Nanoblocks, you let your skilled builder take her talents to the next level where smaller blocks provide more challenge and greater detail. Nanoblock toys are micro-sized building brick sets with dimensions as small as 4mm x 4mm x 5mm that create intricate 3D models of a wide range of objects. Each set comes with detailed step-by-step directions and all the pieces necessary to create the figure shown. Nanoblocks for sale come in various categories including the mini collection series that features familiar and exotic animals, pets, and objects that, when finished, fit in the palm of your hand. Your child can use these small creations as figures in their dynamic, imaginative play or display them as a symbol of accomplished craftmanship. The mini collection of Nanoblocks available online includes music and pre-historic themes to fit the interests of any builder. Mr Toys has been supplying your loved ones with fun and educationally stimulating toys throughout the years. With 25 physical stores across Queensland, Sunshine Coast and Gold Coast, we are Australia’s leader in the latest toy trends including Nanoblocks now for sale. Come in, view our display, and talk to our enthusiastic toy specialists for interest-specific and age-appropriate suggestions ideal for any occasion across our full range of high-quality toys. When you buy Nanoblocks online, your purchase is secured through PayPal or Eway and speedy shipping is available Australia wide and to some international locations. As always, we offer excellent customer support through our call centre open Monday through Friday 9 am-5 pm and our easy refund and exchange policy allow you to buy Nanoblocks with ease. We know your little architect in training will adore these new challenging building blocks for their ability to capture detail too minuscule for standard brick sets. 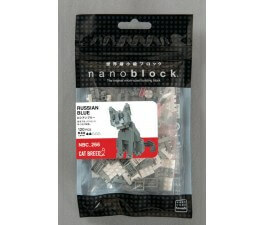 With Nanoblock available online at Mr Toys, the smaller the brick, the better the build.